Origin: Cameroon area of Equatorial Africa. 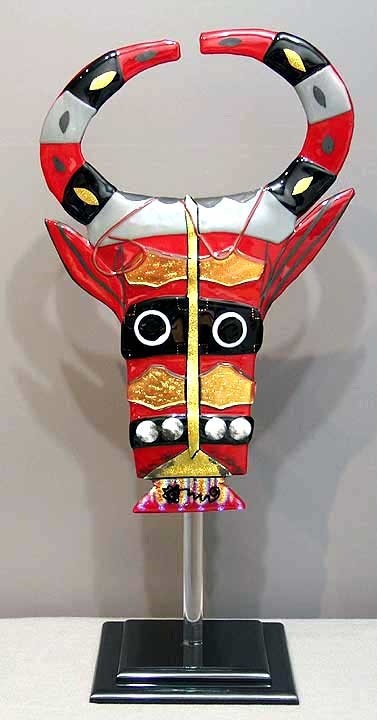 Dual sculpture is known in the west only through the figureheads and paddles of racing canoes and a few polychrome horned masks, of which this is an especially interesting example. These masks probably served to enhance the traditional chief's power and prestige. It was used as a dance mask. 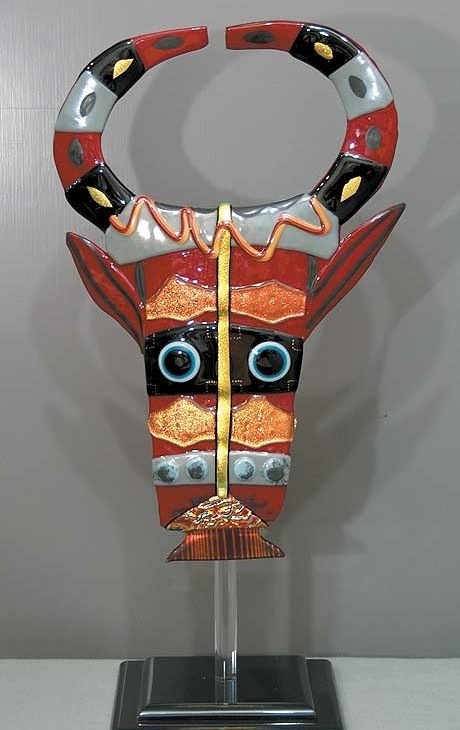 Unlike the figureheads, which are always anecdotal and realistic, the masks remain enigmatic, with a complex decoration that , as well as being aesthetic, has a symbolic meaning. Size 18x23x31/2 boxed. 12x26 on 8x8 Plexiglas stand. Looks best in red, black and gray. Will consider and have done various other colors.